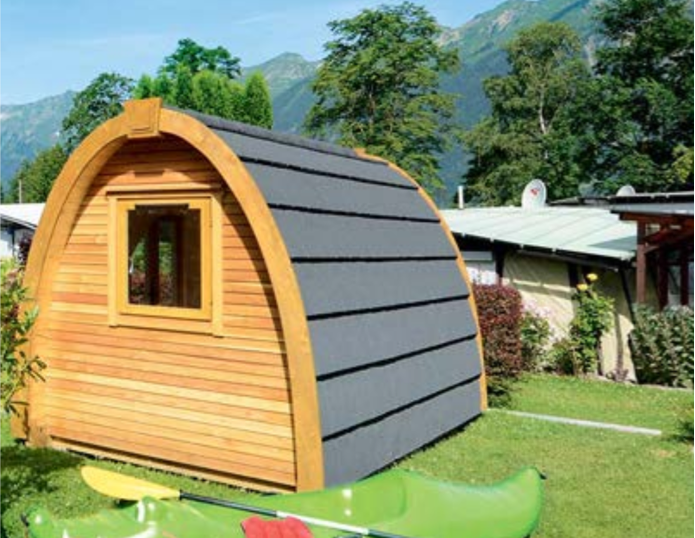 Camping Pod Application Details Released – TowersStreet - Your premier Alton Towers guide! 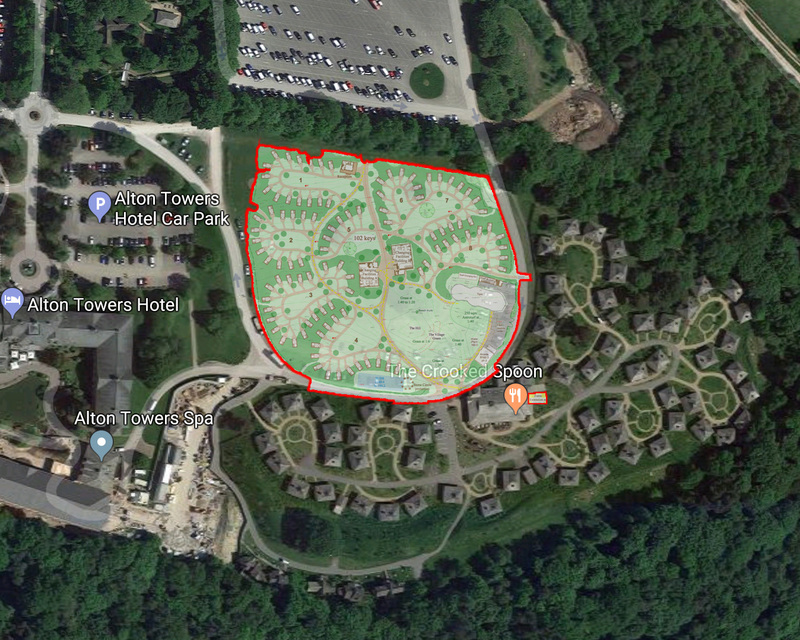 We recently revealed on our social media pages that planning permission was being sought for the construction of 102 accommodation pods at the Alton Towers Resort. 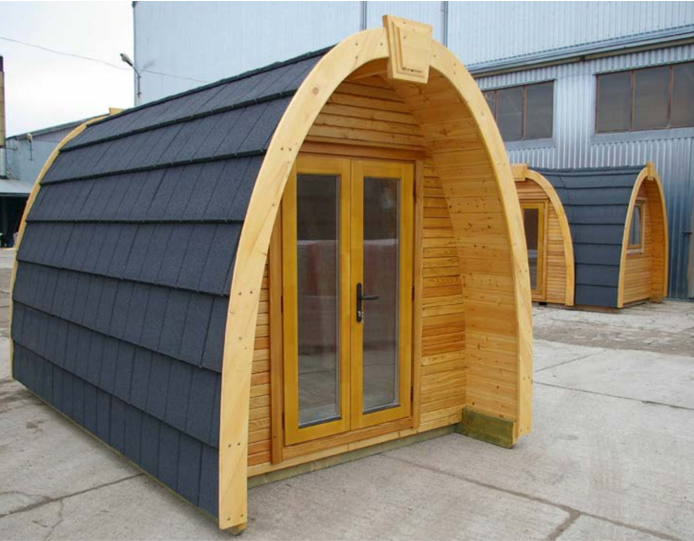 First referred to in parent company Merlin’s Summer Trading and Strategy update in October last year, and referred to as ‘Alton Towers Barrels’, the pods are part of the group’s aim to increase accommodation capacity at each of their major theme parks to 1000 rooms. The application replaces the previously approved plans to expand the Enchanted Village by adding 70 Woodland Lodges (known as Phase Two). Those plans, approved in 2016, would have added lodges in a similar design to the ones already operating at the resort as part of the initial development. The location of the new pods will be on the land to the north west of the existing Enchanted Village development, as seen on the map below. The existing car park further north currently has a planning application to install permanent lighting, and will be used for guests staying at the new pods. A reception building for guests to check in will be located at the top of the site, opposite the car park. The pods will only contain a sleeping area; shower, changing and toilet facilities will be provided by two buildings in the centre of the site. The increased number of pods (102) in comparison to the lodge development (70 lodges) reflects the smaller footprint of the pods, and also the smaller maintenance areas required due to no individual washing/toilet facilities being provided. There is also a retrospective application to keep the recently erected tipi in its current location in the south west corner of the proposed site. Erected for the Christmas events last year, the tipi was originally granted permanent planning permission in an alternative location in 2016 as part of the phase 2 Enchanted Village application. Extra food and drink for guests looks to be provided with space for two mobile F&B units. These do not require planning permission but will provide breakfast and evening meal options in what is described as a “street food style”. Also, an already approved small extension of the Crooked Spoon is still a possibility. Although timescales are not mentioned there will be a much smaller second phase to this development to include an arcade/games building and a staff changing room. These will be situated near to the tipis and what is being described as ‘The Village Green’ and ‘The Hill’ areas. Is a new budget option for staying at the resort somewhere you would be willing to stay? Check out our forums for discussion on this and more.